The WIRTGEN GROUP sales and service company WIRTGEN AUGSBURG is showcasing tailor-made solutions for the treatment of recycling materials on its 800-m² exhibition area. Also on show will be two KLEEMANN crushing plants, the MR 110 Z EVO2 and the MC 100 R EVO, and the MBRG 2000 mobile granulator from BENNINGHOVEN. The plants in the EVO range feature flexibility, compact dimensions and ease of transport. 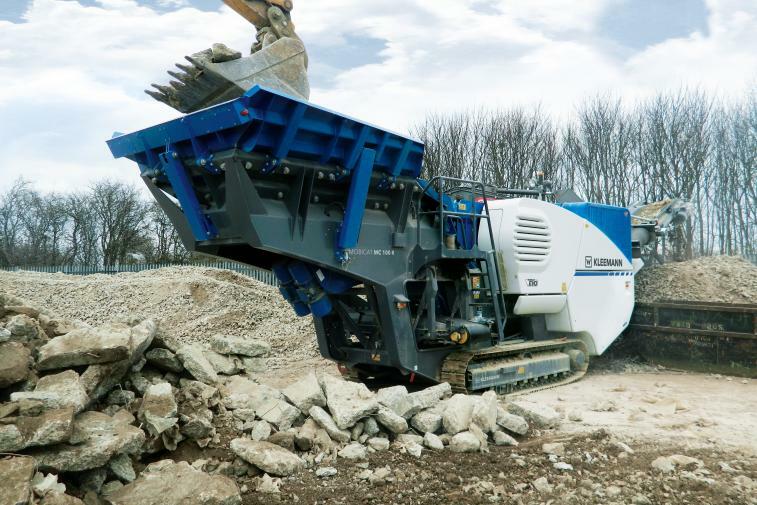 The MOBIREX MR 110 Z EVO2 mobile impact crusher, for instance, is configured for both recycling and natural stone applications. The double-deck pre-screen prescreens and levels the material. The new material flow concept consistently prevents narrowing of the material stream and the system widths of the conveyor elements "open" in the material flow direction. 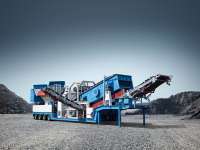 As a result, the plant achieves a throughput of up to 350 tons an hour, comparable with that of larger impact crushers. The final screening unit offers a particularly large screening surface for a thoroughly classified end product. The MOBIREX plants feature the excellent Lock & Turn system, which ensures reliable maintenance. Access to the plant can only be gained through a multi-stage safety system, while the rotor can be locked in any position for rotor ledge changes. As with all EVO units from KLEEMANN, every component is highly accessible for ease of maintenance. With a weight of 30 tonnes and compact dimensions the MOBICAT MC 100 R EVO is particularly easy to transport. That is why the plant is often used for applications on alternating operation sites. The Continuous Feed System (CFS) and the level control in the crusher ensure optimum utilization without interruption. The plant processes up to 220 tonnes of material per hour at a drive power of 165 kW. 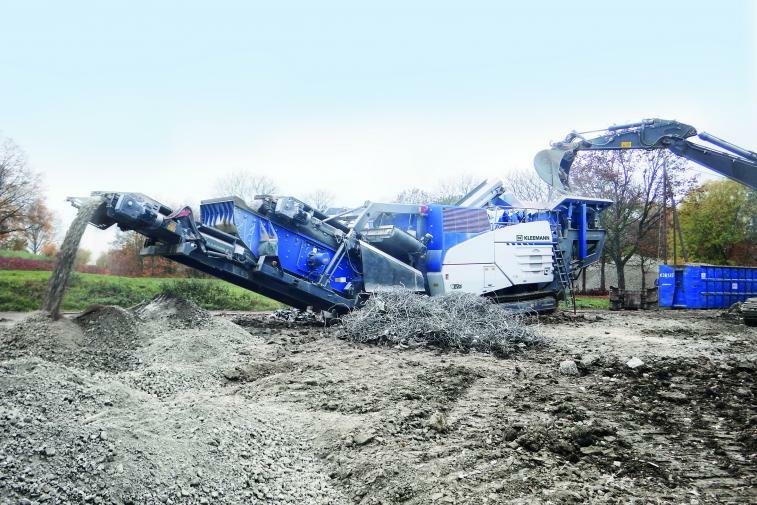 The MC 100 R EVO jaw crusher is equipped with an extra-long, movable crusher jaw which reduces material blockages. However, if a blockage occurs, the crusher drive can be reversed via the crusher unblocking system and the material that is stuck is released. Another benefit of the MC 100 R EVO is the diesel-direct drive, which has a much lower fuel consumption than comparable jaw crushers. 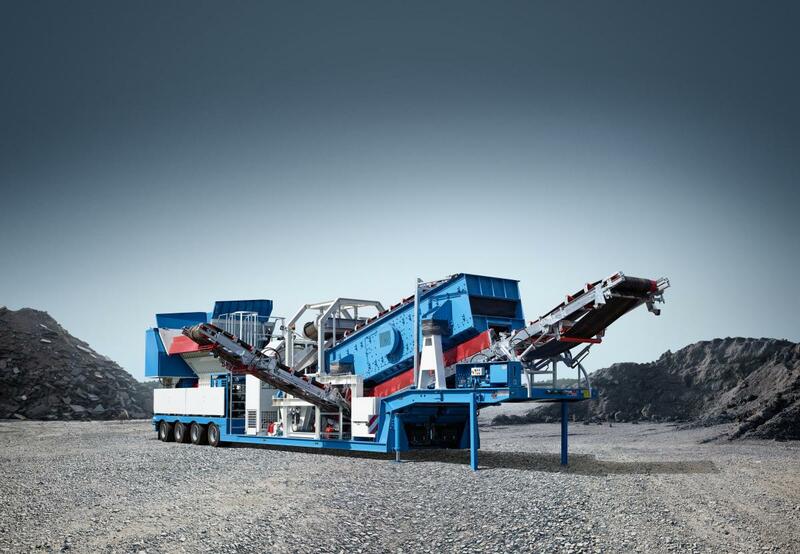 The MBGR 2000 mobile granulator from BENNINGHOVEN breaks reclaimed asphalt into its constituent parts without destroying the original grain structure, handling blocks with an edge length of up to 1.8 m. This gentle crushing technology creates the ideal conditions for almost complete recycling of RAP in an asphalt mixing plant. 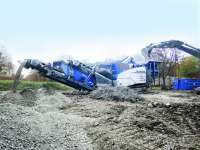 Another significant advantage of this crushing technology is the much lower fines content it produces – a key advantage that almost completely prevents blockages of transport paths and the parallel drum. 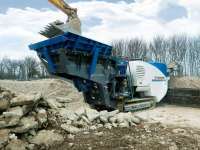 The granulator is ideal when it comes to creating new traffic arteries from more than 90% "reclaimed" roads.